If you have an account with Scout or Acquire, you need to make sure they're linked first. You can see instructions on that HERE. 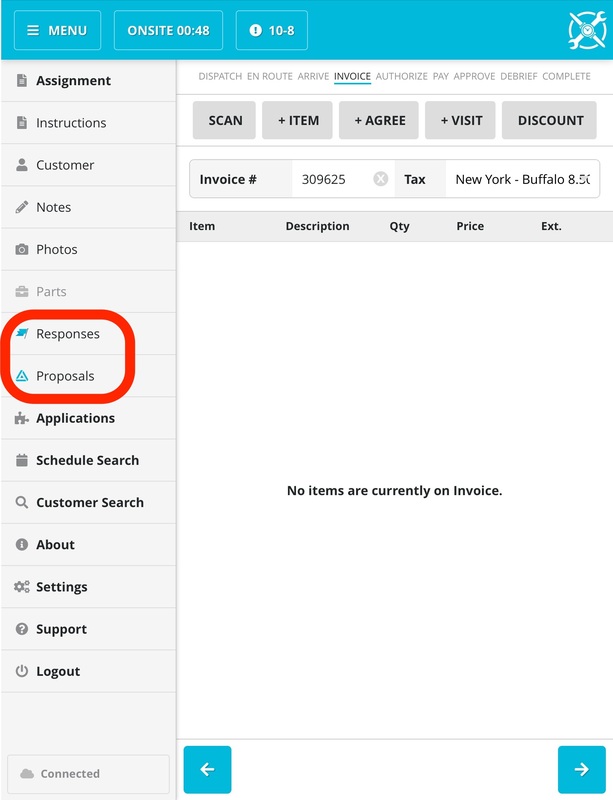 To access Acquire, tap the Proposals button. Tapping either will take you into the respective app. When you tap the above button, your proposal options will appear in SWRemote. **Note** For items in the proposal to appear in SWRemote, you must have those items listed in the Acquire Pricebook. If you cannot get SWRemote to connect to Acquire, please review THIS DOCUMENT.